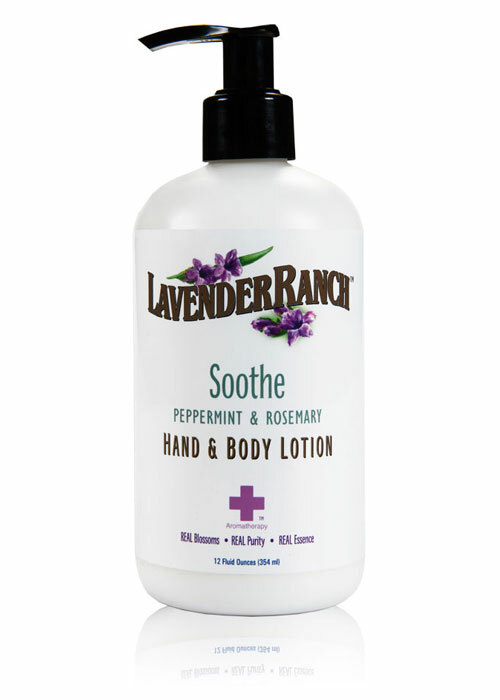 Soothe Hand & Body Lotion – 12oz. Soothe Hand & Body Lotion. This brilliantly versatile lotion is perfect for every day, all over use! Its unique, all natural, formula is light enough for your face and all other sensitive areas while being extremely moisturizing, and creamy. Lavender Ranch™ Hand & Body lotions blend soothing, protective plant oils and emollient-rich moisturizers with our California grown Certified Organic Botanical Essential Oils & Extracts to hydrate, nourish, and protect your skin like you never have before. 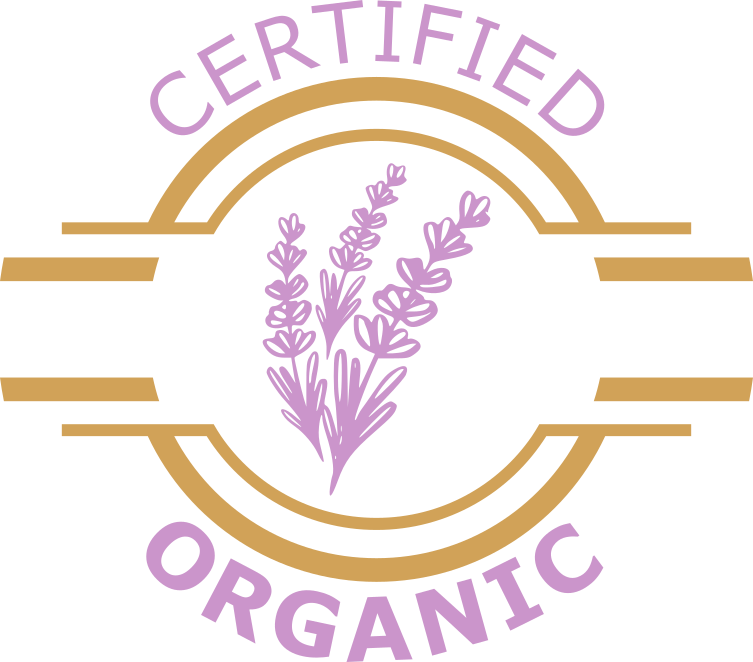 Purified Water, glycerin, Sunflower Oil*, Glyceryl Stearate, Cetyl Alcohol, Safflower Oil, Mentha Piperita (Peppermint) flower/leaf/stem extract*, Steric Acid, Dimethicone, Allantoin, Sodium Carbomer, Panthenol, Aloe Barbadensis leaf juice*, Sodium PCA, Jojoba Oil, Shea Butter, Flax Seed Oil*, Borage Oil*, Almond Oil*, Mixed Tocopherols, Soy Lecithin, Phenoxyethanol, Ethyl Hexyl Glycerin, and Lavender Ranch™ proprietary essential oil blend*.